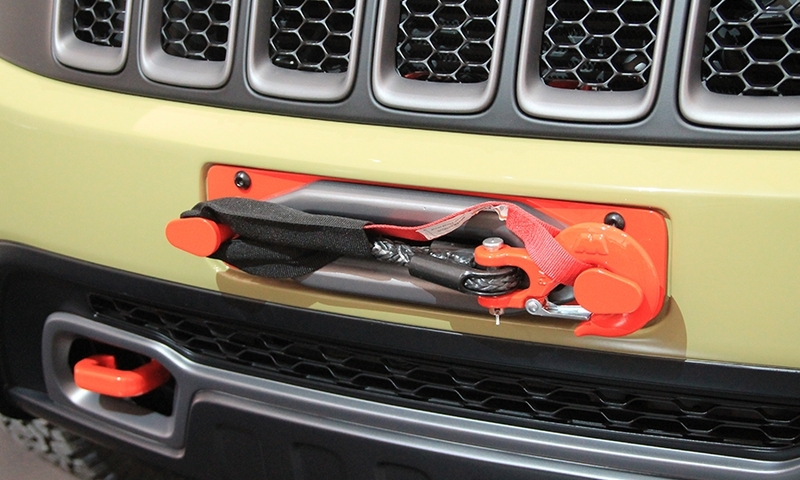 DETROIT -- Jeep relied heavily on images from the brand’s 74-year history to develop seven working concept vehicles -- including a Wrangler-based pickup -- that it will take to the 2015 Easter Jeep Safari in Moab, Utah. The Safari draws thousands of off-road enthusiasts to the Utah desert each year to run the region’s hundreds of miles of trails. 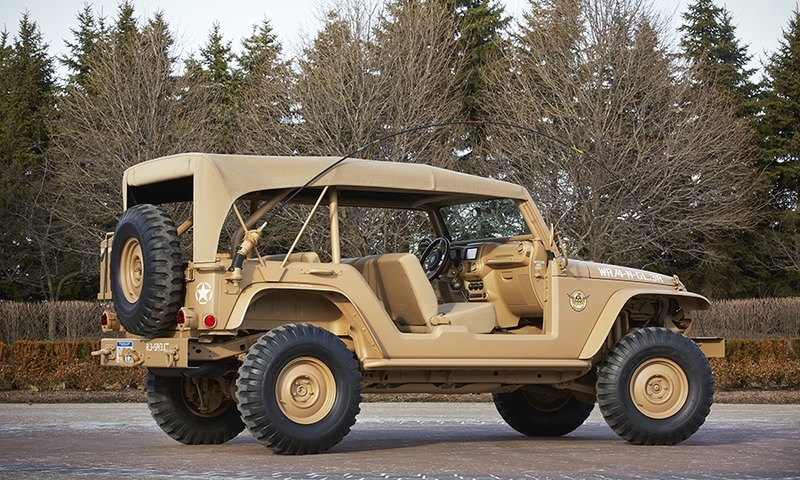 Jeep designers have been developing special concept vehicles for the Safari each year since 2002, drawing extensively from Mopar’s Jeep Performance Parts bin. 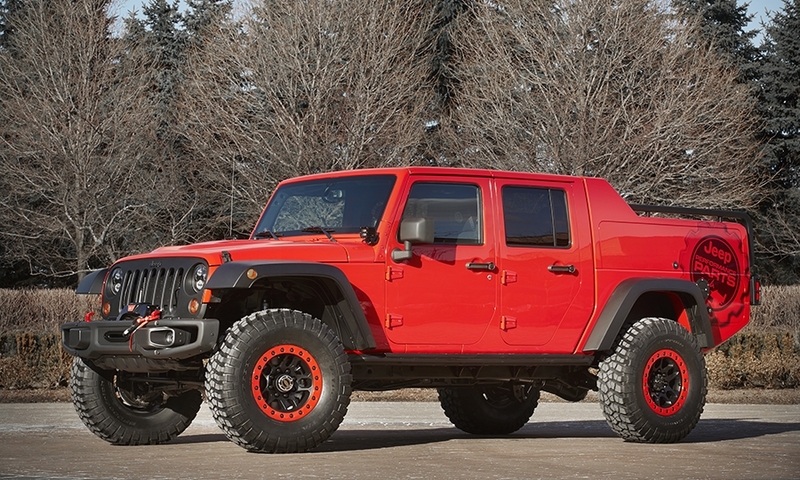 Wrangler Red Rock Responder: Designers stretched a Wrangler Unlimited over four feet and extended its wheelbase out to create a full-sized pickup. 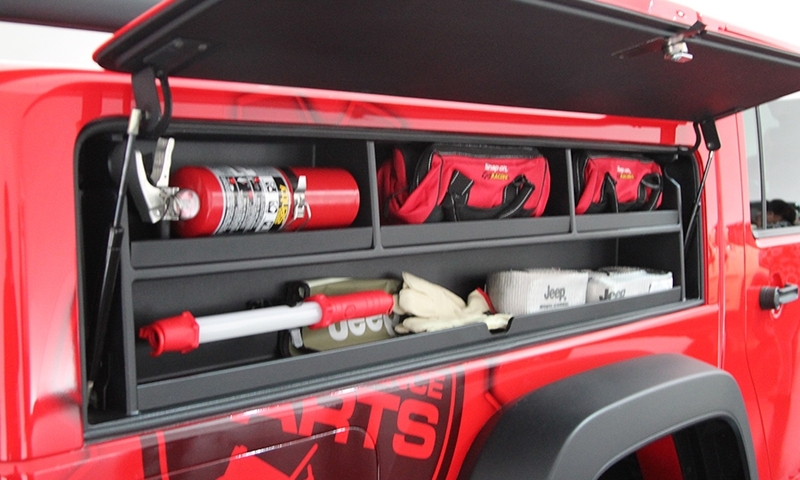 The bed floor is raised to hide a large storage tray that pulls out from between the wheel wells, while the raised bed walls feature storage compartments for various off-road rescue tools. 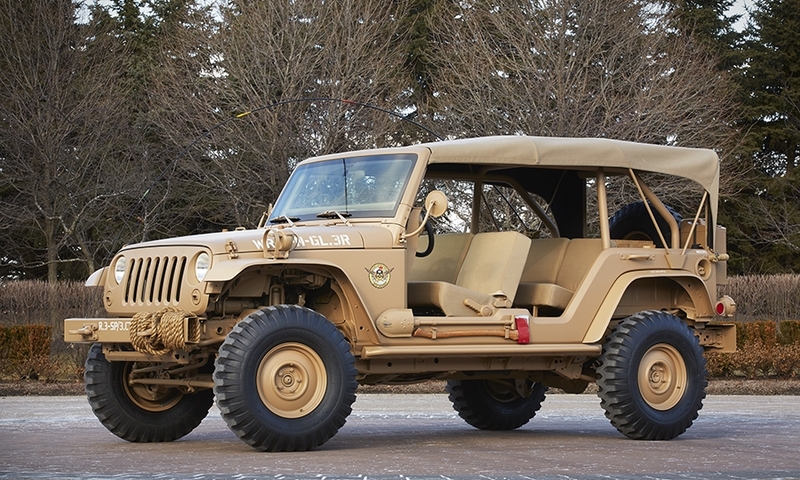 The Responder rides on 37-inch tires and 17-inch beadlock wheels and features an additional 4 inches of lift. 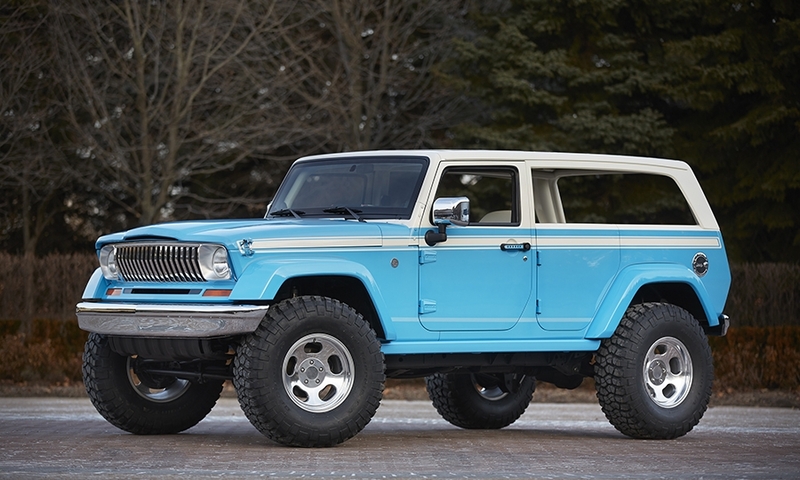 Chief: A rolling homage to the original Cherokee but built off a current Wrangler Unlimited, the Chief is styled both inside and out as a Hawaiian-themed surf vehicle. 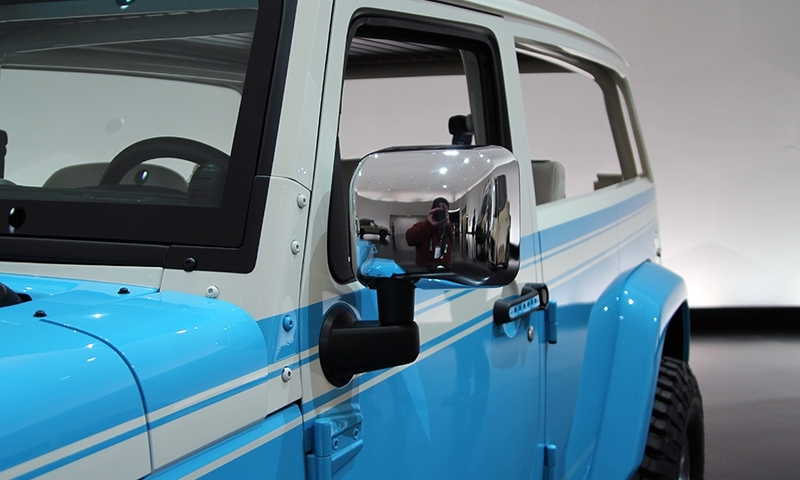 The exterior features a custom 20-slot razor grille and classic Jeep headlights and taillamps atop thin chromed bumpers. 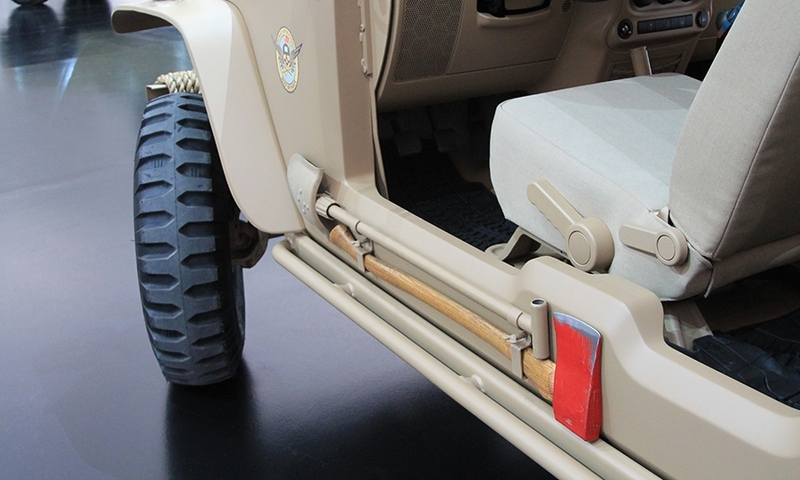 Designers hid the rear door handles inside the vehicle and left open-air sides from the B-pillar rearward. 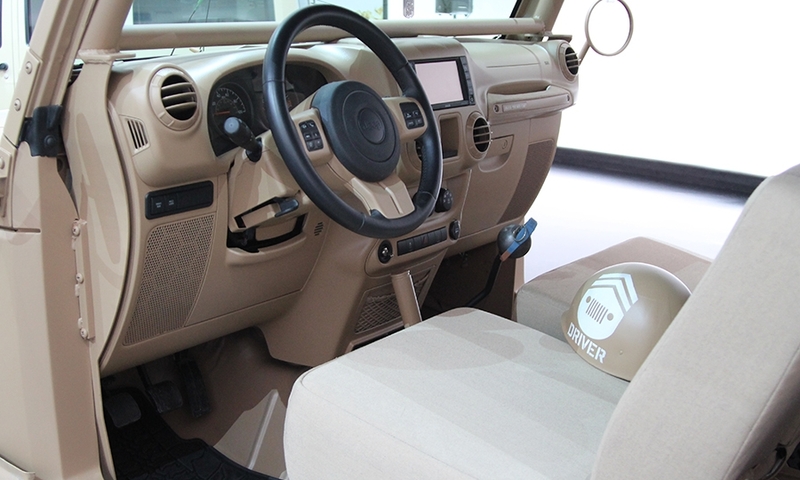 Designers dressed the inside in rosewood trim, complete with a custom-made rosewood tiki manual shifter and transfer case knob, as well as rosewood floorboards mounted into the rear cargo area. 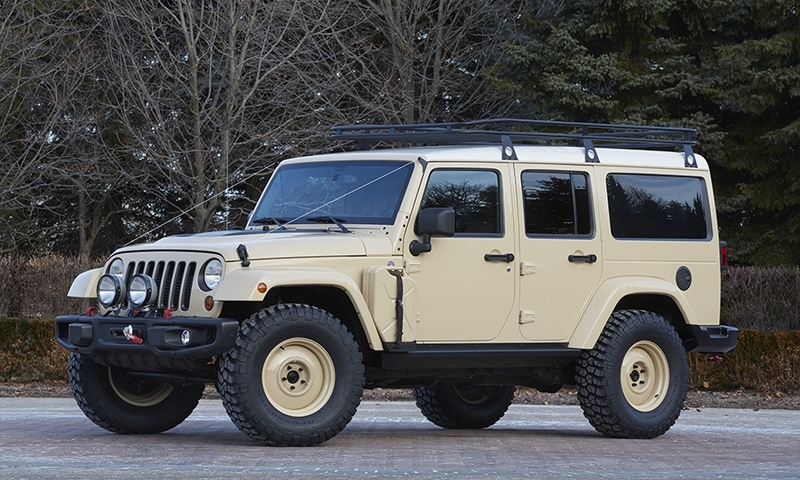 Wrangler Africa: Another modified Wrangler Unlimited, the Safari-themed diesel-powered Wrangler Africa features an additional foot of rear storage area and a roofline that was raised by 4 inches and has a steel cargo rack on top. 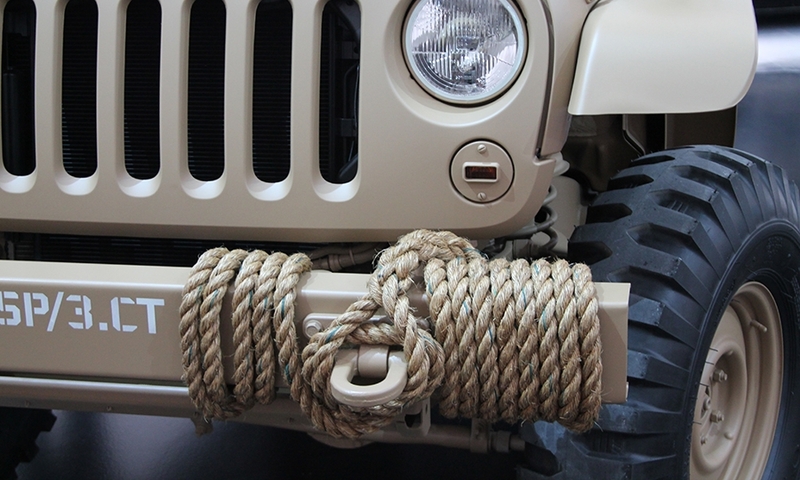 With a modified front bumper featuring an incorporated winch and side-mounted fuel cans, the Wrangler Africa bears a striking resemblance to a Land Rover Defender. 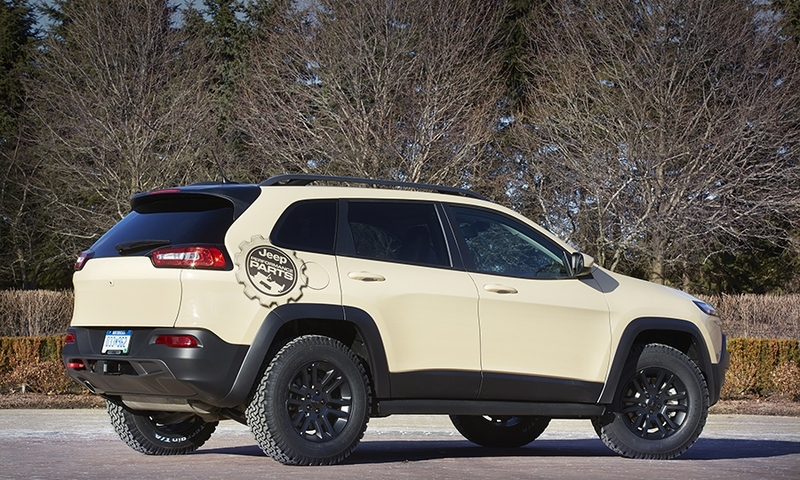 Staff Car: A modern take on the brand’s military heritage, the Staff Car started as a Wrangler Unlimited Rubicon and was painted front to back in a custom color matched from a piece of cardboard. 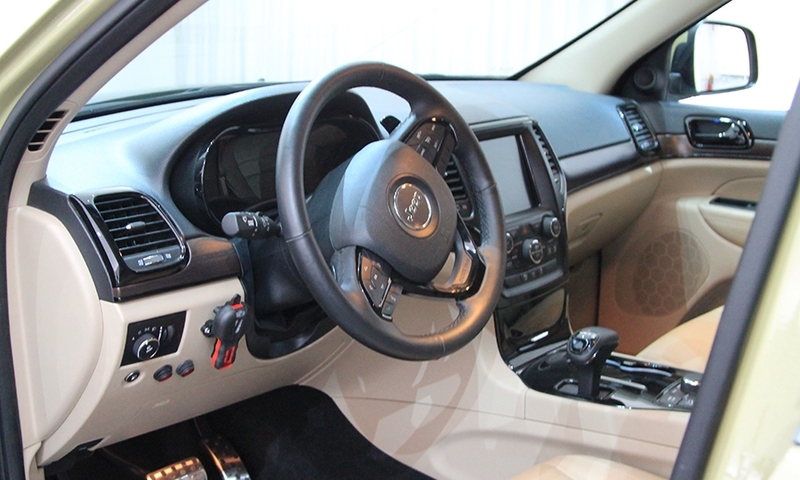 The doors and the B-pillar were removed and the seats replaced to give the Staff Car more of an open-air feeling, lead designer Mark Allen said. Though its safety cage is still present, the roof was replaced with traditional canvas. 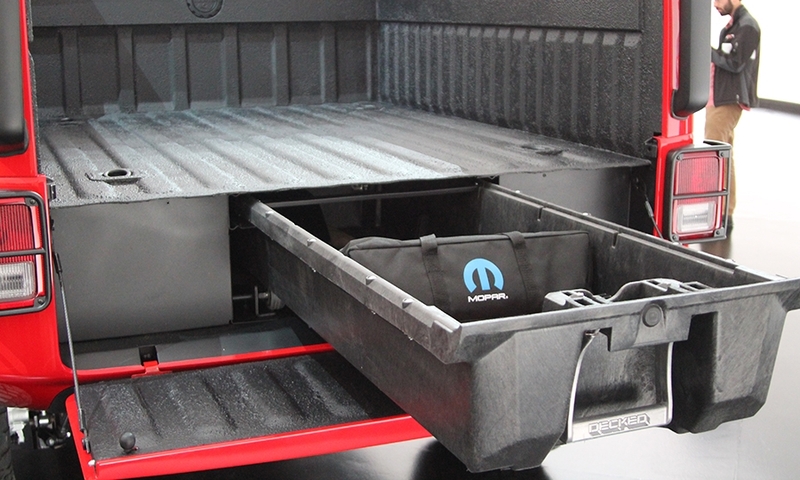 The rear storage compartment also features a cooler, hidden inside an ammunition box. 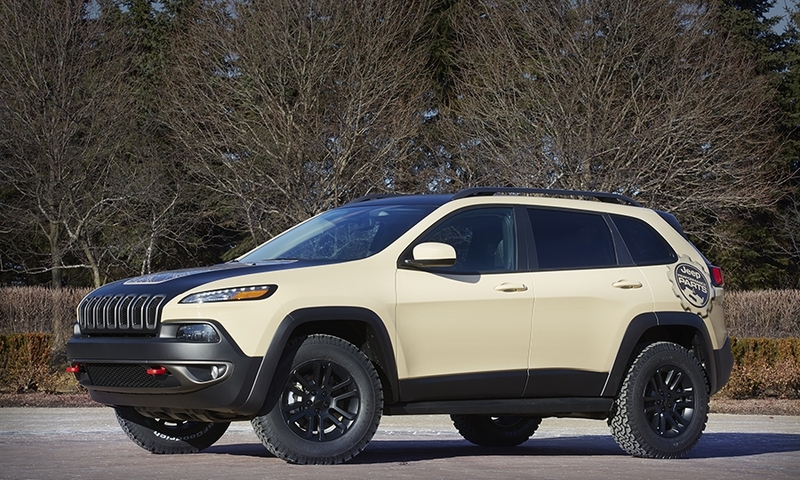 The brand also is taking three more lightly modified versions of its other off-road-capable vehicles. 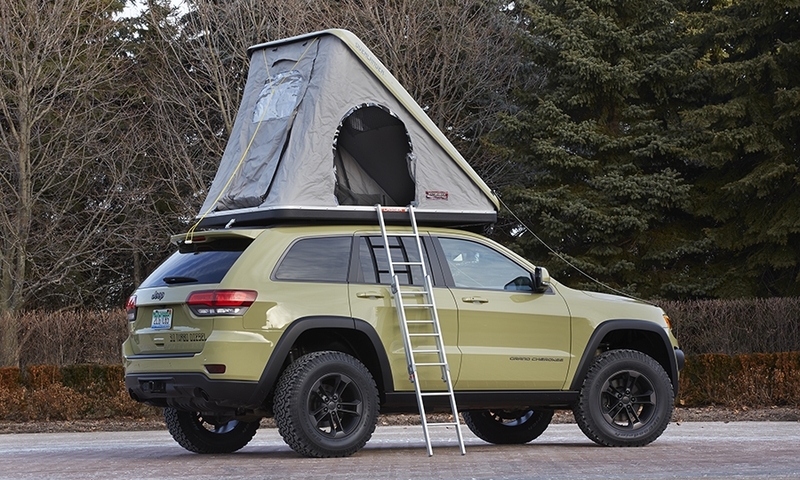 The Grand Cherokee Overlander is a modified version of the flagship luxury SUV with a two-person pop-up tent incorporated into its roof. 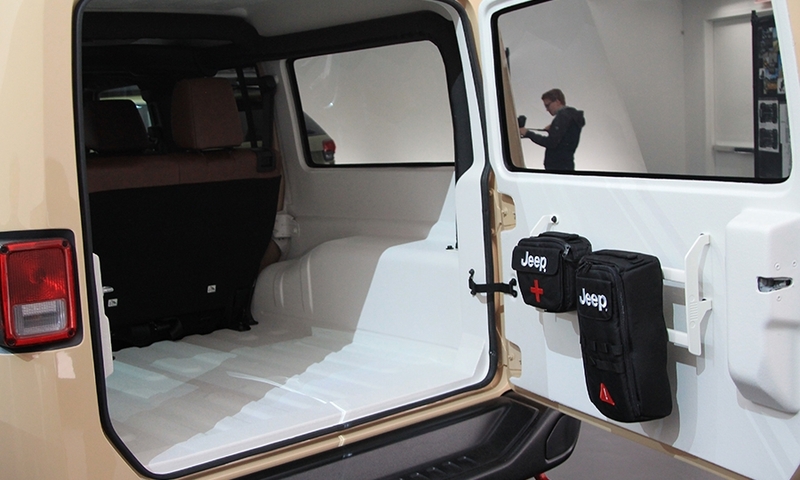 The 3.0-liter EcoDiesel engine and hard-sided tent -- which comes with an extendable aluminum ladder that folds up and stores inside -- allows occupants to go deep off-road with a minimum footprint, Allen explained. 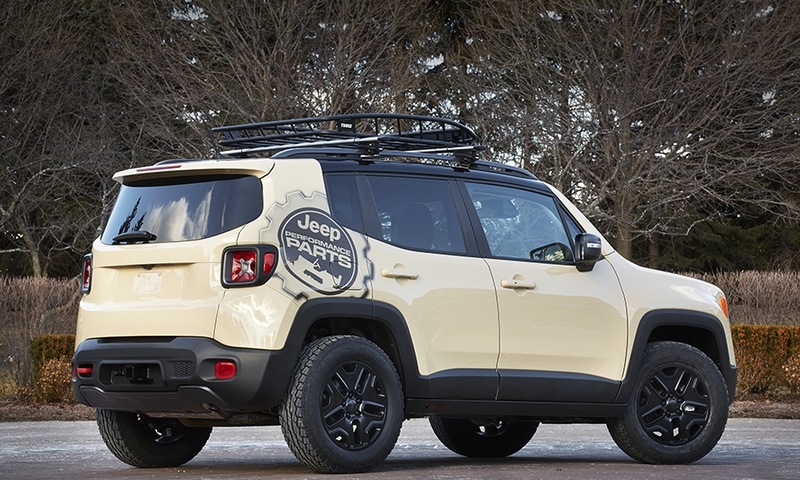 The Cherokee Canyon Trail is a modified Cherokee Trailhawk outfitted with additional underbody armor, an upgraded leather interior and a bicycle rack on the roof. 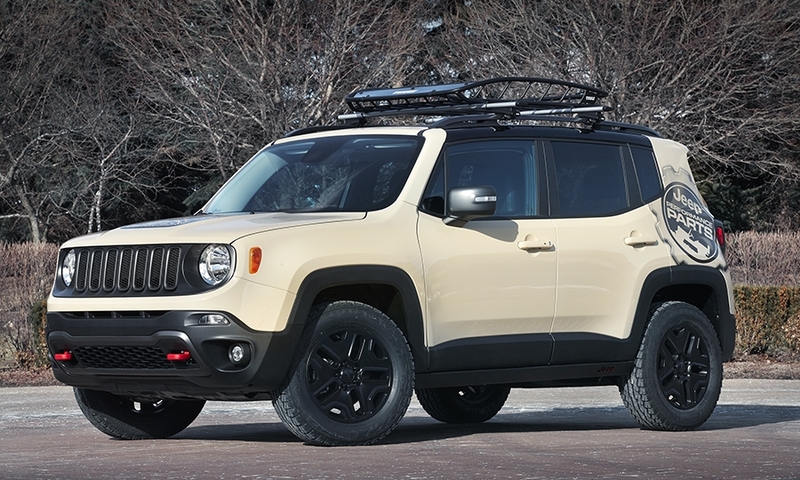 The Renegade Desert Hawk is a modified version of the Renegade Trailhawk that’s been outfitted with additional body armor for rock crawling.